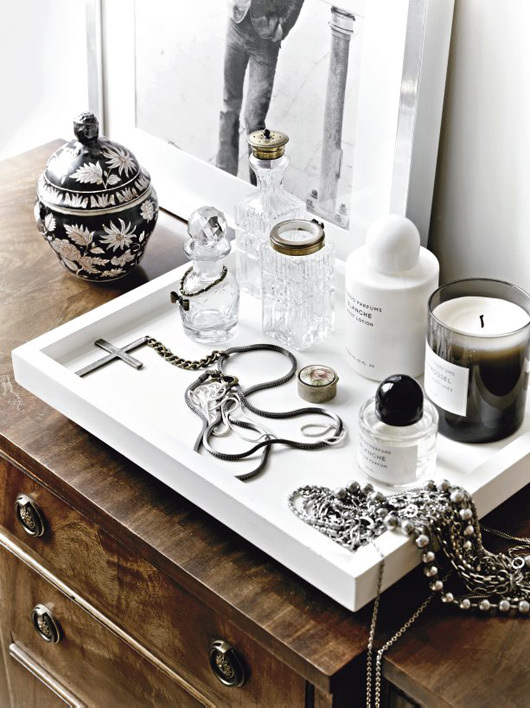 I'm always so inspired when I come across the blog of a talented interior stylist. I love seeing work that I may have missed otherwise since there are so many magazines that I'll never come across and work that I wouldn't see as a result. I like when a stylist shares the work of others in addition to their own - a good mix of what they love, who they admire, coupled with some of their own work - this makes a good mix in my opinion. It feels right to me, because too much me me me can be a drag on any blog. What do you think? Out of all the stylists and designers that you follow, who do you wish had a blog? I've been to some blogs and it seems at times like they are only pushing their work to the forefront and nothing more. How do you feel about blogs like that? I believe that it is important for creatives to make a genuine effort to connect with whomever stumbles upon their blog and this is done through sharing - always sharing - not simply to use the blog as a platform to market their work. That is a bit boring, don't you think? I love it when talented people are sharing everything that is influencing them, even abstract things (those are often the BEST posts) and both related to and unrelated to their work. I like to see what comes across their desk, what matters to them and what is meaningful at the moment to them. I want opinions and openness. 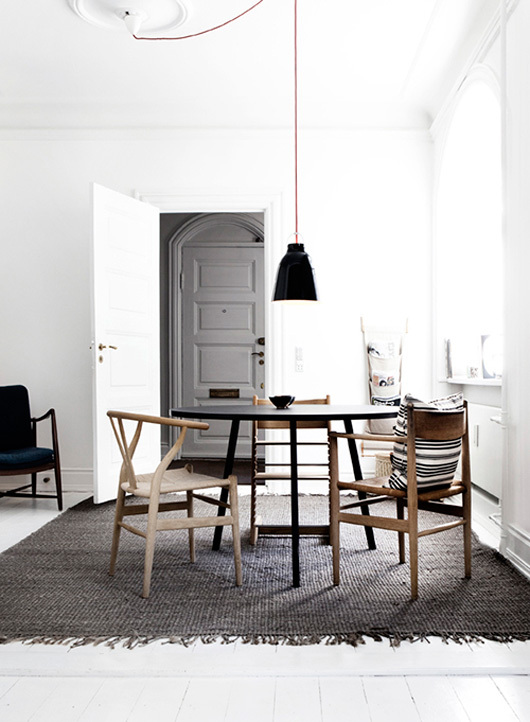 I like the blog of Anna Gillar in Sweden, who is both an interior designer and stylist. She writes an inspiring blog because... She shares what she does for work, but also what and whom she simply loves - what catches her creative eye and what calls to her heart. 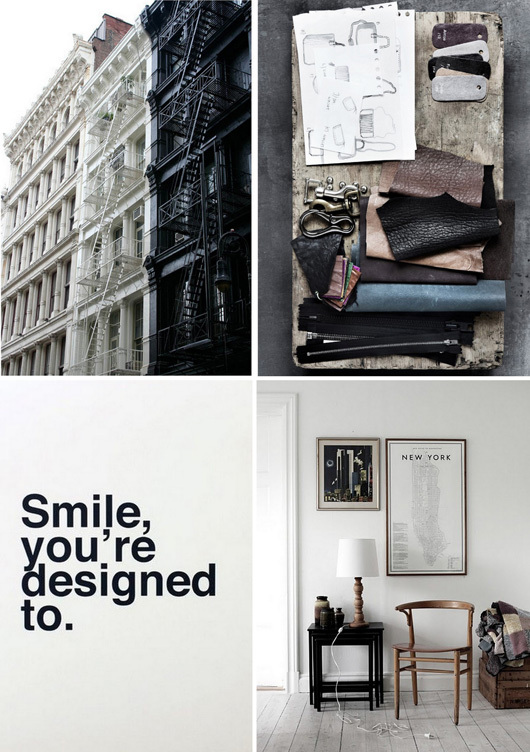 I adore seeing what is on the radar of style experts and trend 'watchers' out there. Her blog works for me because it's like having Anna as a friend and she's simply sharing what she finds interesting with me as we're hanging out having tea or something... That is what makes a bog inspiring to me, when I sense a kindred spirit from a faraway place! Please check out her blog and see what you think. 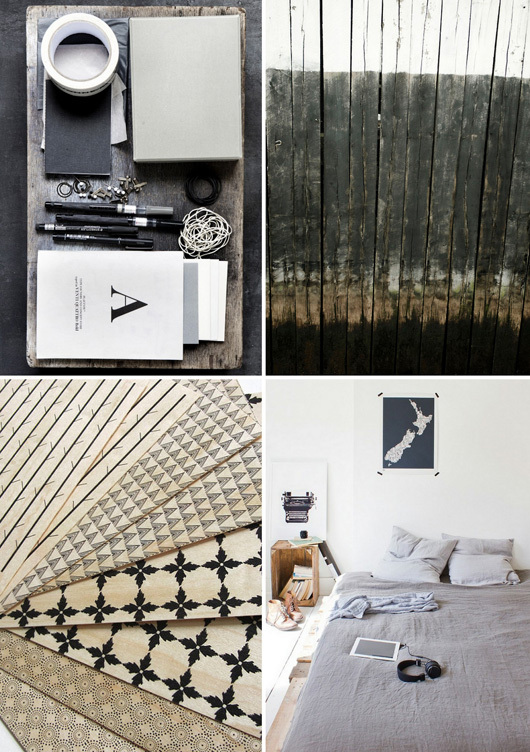 I've chosen some shots for this post that I think best represent her blog & style - hip, cool, clear, clean, graphic and artistic. Also not very colorful, but that's okay, it's nice on the eyes now and then to rest on simple charcoals and creams. Serene and perfect for Autumn planning... A base like this gives you so many options to mix in color if you like, as it hits you. A little mustard, a hint of orange, a bit of copper... With a simple base you can really explore. Read & Listen: Martha Stewart Radio + me!